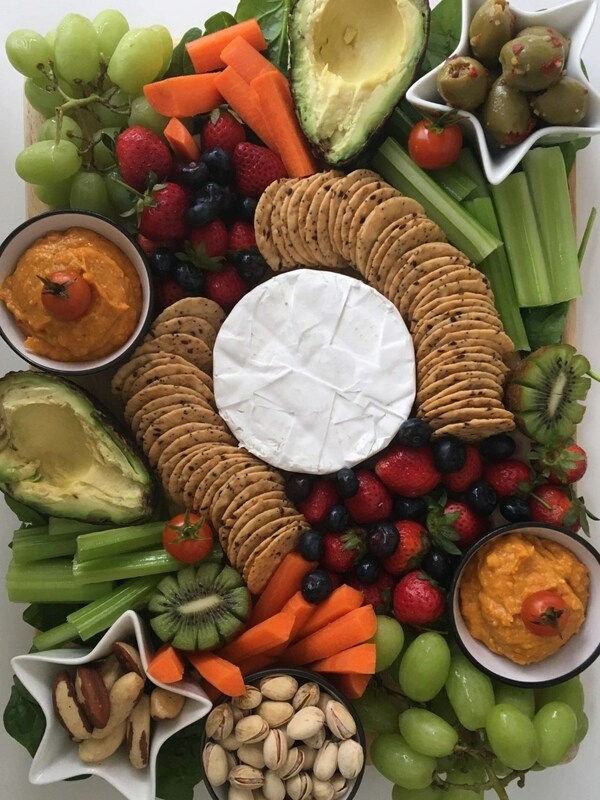 My friends call me the cheese platter queen and I’ll happily take that title. My mum has been making EPIC cheese platters for as long as I can remember and I’ve grown up happily munching on them. 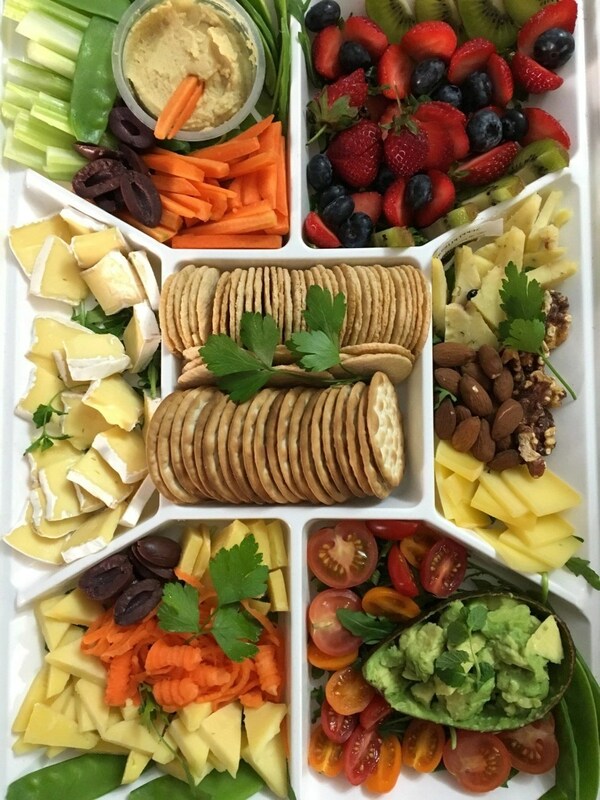 The key to an epic cheese platter however is to get the perfect mix of ingredients so it’s not only tasty but also healthy. 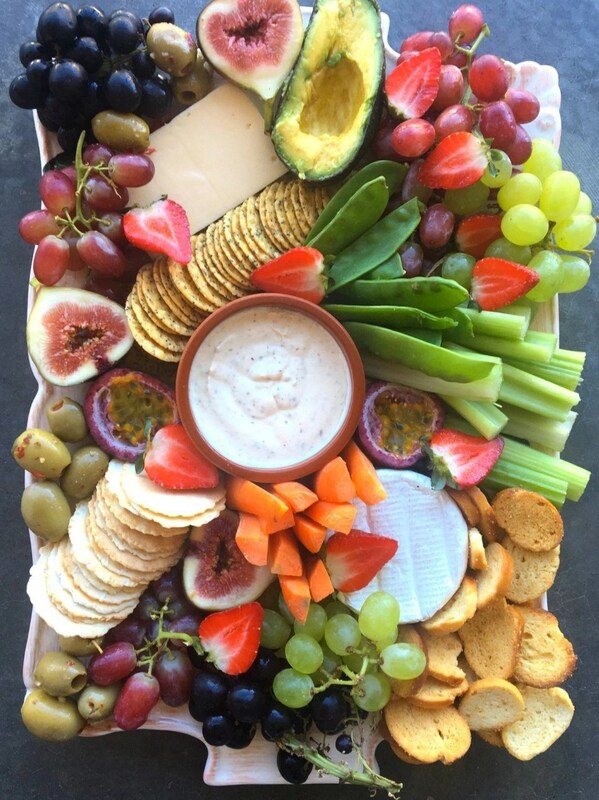 Thanks mum for teaching me the art of the perfect platter! 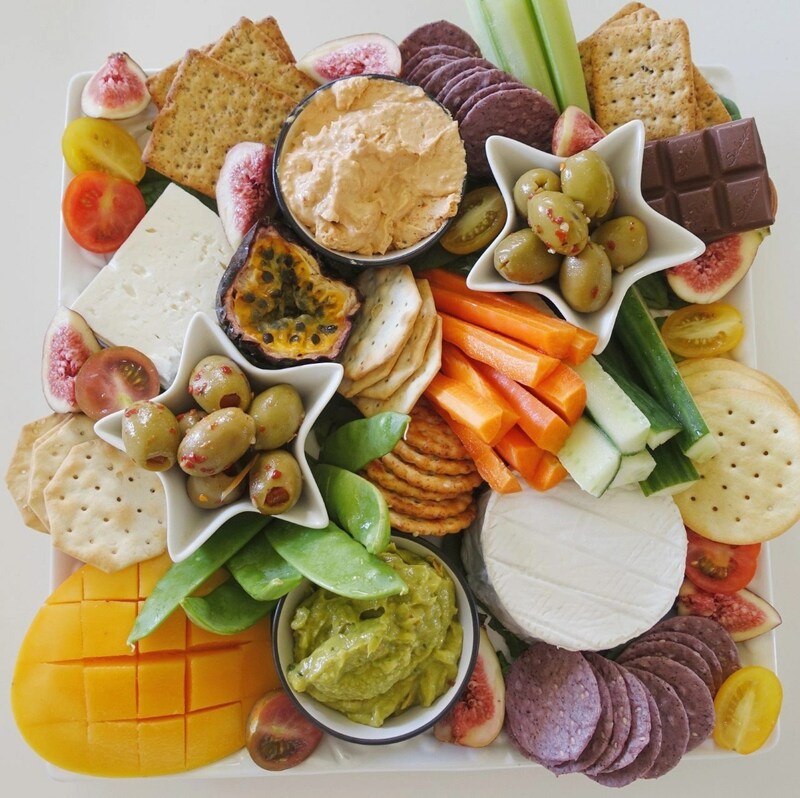 Make sure there are HEAPS of colourful veggies on the platter. I love to use carrot sticks, celery sticks, snow peas, red capsicum, grilled pumpkin, grilled zucchini, grilled mushrooms, olives and cherry or sun dried tomatoes. I LOVE CHEESE but limit cheese to 2 types only – if weight loss is your goal then too much cheese will stall your progress. Sometimes I even buy two types of cheese but only use half the brie and half the cheddar for example and save the rest for another platter. Generally people don’t even notice when I only serve half cheese round. 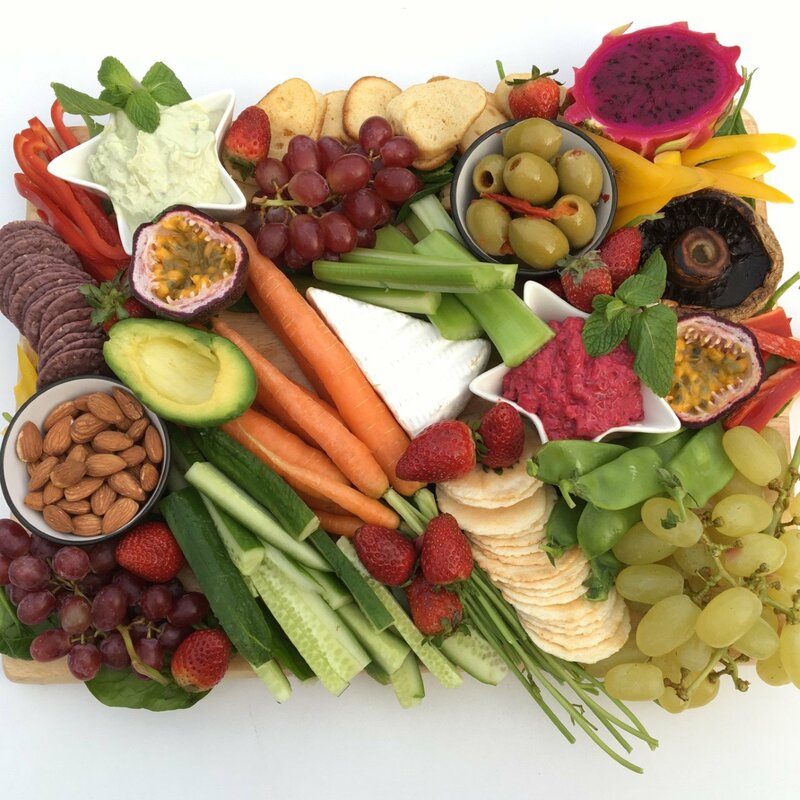 Add some healthy dips on the platter to dip the veggie sticks in – think hommus, tzatziki, salsa or avocado dip. Even better – make your own – beetroot, tomato relish or a spicy capsicum can all be done in your own blender! Fresh fruit is not only pleasing to the eye but it’s a natural sugar hit which keeps people satisfied and stops any cravings. 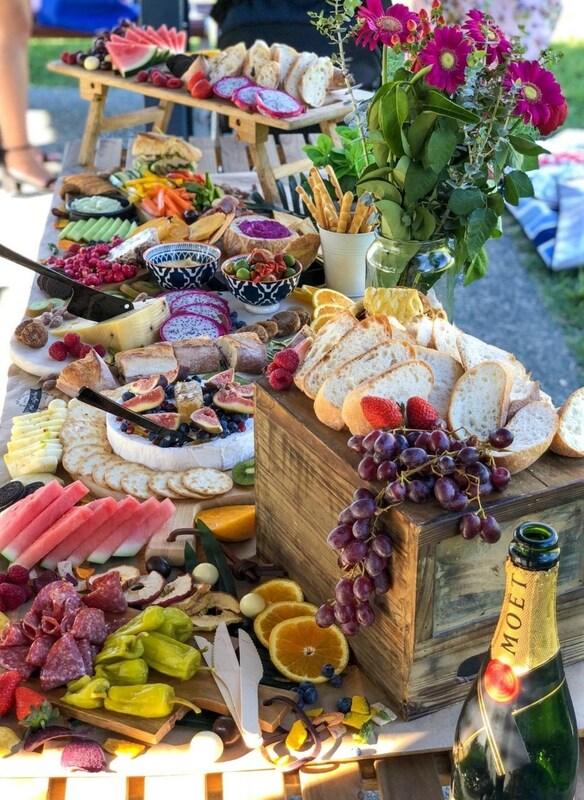 My favorite fruits to add to a cheese platter are strawberries, blueberries, grapes, dragon fruit, passion fruit, kiwi fruit and pineapple. The most delicious vegetarian satay tofu fried rice you’ll ever eat! © 2017 - 2019 - Leanne Ward ABN 99 596 682 731.